Khloe Kardashian will spend Thanksgiving with Tristan Thompson and their daughter True Thompson in Cleveland, E! News has learned. The reality star and the Cleveland Cavaliers star had spent the summer together with the child in Los Angeles over the summer, just after weathering his cheating scandal, which erupted days before the baby's birth in Cleveland in April. In October, Khloe, True and Tristan celebrated Halloween together. "Tristan's schedule worked out so they could spend Thanksgiving together in Cleveland," a source told E! News. "It's True's first Thanksgiving and Khloe wants to celebrate it as a family. It's very important to her that True has her own family traditions and is with both her mom and dad." "She is still very happy in L.A. with her family support and the thought of being back in Cleveland by herself is unsettling," the source said. "She isn't making long-term plans and is just taking it little by little and seeing what happens. She's very conflicted and tries her best to stay focused on True and all the joys of motherhood. It's complicated with Tristan, but he's True's dad and that's what matters most to Khloe." The source added that Khloe's family "tries not to get involved too much," adding, "They know Khloe is doing what she feels is best for True. Regardless of how they feel about Tristan and what he did, they admire Khloe's strength and how she has put her little girl first." 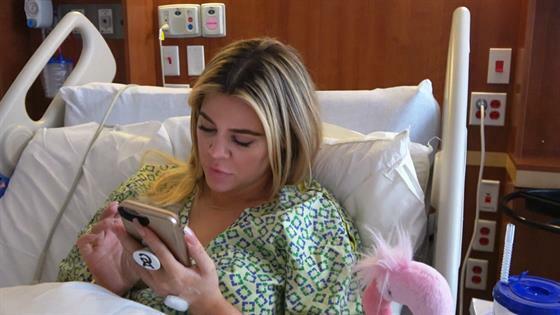 The news comes days before a Keeping Up With the Kardashians episode that focuses on Khloe just after she gave birth to True, in the aftermath of Tristan's cheating scandal. "I know now, looking back that I was in shock because I couldn't believe that this would ever happen to me but I'm still very proud of myself for how I handled everything," Khloe tweeted last week. "True gave me the peace and strength I needed."